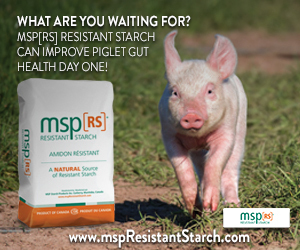 In pig diets, the amount of digestible calcium has a direct impact on phosphorus digestibility and the overall growth performance of the animals. 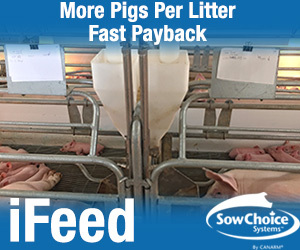 With more calcium, phosphorus digestibility and feed intake decrease, leading to lower-weight pigs. For several years, Hans H. Stein, professor in the Department of Animal Sciences and the Division of Nutritional Sciences at the University of Illinois, has been working to establish the optimum ratio between the two minerals for pigs at various developmental stages. Recently, in an Animal Feed Science and Technology article, his research team determined that ratio for 50- to 85-kilogram pigs. “We’ve determined the ratio for heavy pigs and very young pigs, but never for this weight group. Our results confirmed what we’ve seen in other weight groups: If we overfeed calcium, the pigs won’t eat as much, and they will have lower growth performance and lower bone ash. Clearly, high calcium is detrimental to growth performance of these pigs,” Stein says. Stein’s research team, led by doctoral student Vanessa Lagos, formulated 15 corn-soybean meal-based diets, varying in calcium and phosphorus concentration, and fed them to 90 barrows (average weight 50 kilograms) over 30 days. Diets were formulated to contain 0.14, 0.27, or 0.41 percent standardized total tract digestible (STTD) phosphorus and 0.13, 0.25, 0.38, 0.5, or 0.63 percent STTD calcium. These values represented 50 to 150 percent of the STTD phosphorus requirement and 30 to 170 percent of the total calcium requirement. By the end of the 30-day trial, at which time the pigs’ average weight was 85 kilograms, the researchers were able to determine pig growth performance. Specifically, they quantified final body weight, average daily gain, gain-to-feed ratio, and incorporation of the minerals into bone. Stein notes that most commercial diets are unlikely to provide excess phosphorus. It’s one of the most expensive nutrients, and causes environmental problems when it is excreted in urine and manure. The article, “Effects of dietary digestible calcium on growth performance and bone ash concentration in 50- to 85-kg growing pigs fed diets with different concentrations of digestible phosphorus,” is published in Animal Feed Science and Technology. Stein’s co-authors include Vanessa Lagos, Carrie L. Walk, and Michael R. Murphy. The research was supported by AB Vista, U.K.